Sree Rama Dasa Ashram, named after our patron deity Lord Sree Anjaneya, is located on top of the hill named Ramagiri, on the banks of the beautiful Barvi River. 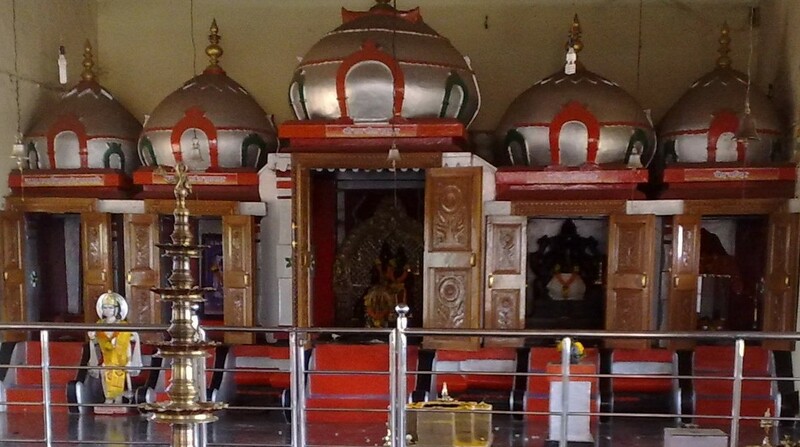 It is the site of penance of a great Avatar Purush, His Holiness Jagadguru Swami Sathyananda Saraswathiji Maharaj, and His seniormost disciple, His Holiness Swami Krishnananda Saraswathiji Maharaj. Nearly 60 acres of untarnished land, rich in vegetation, has a combined spiritual and natural appeal. The Ashram has its own temple complex, guest house facilities, water system, pitr pooja ghat, hall, etc. It is in the embryonic stage of vast future plans for world class projects that are aimed towards the preservation and propagation of the Hindu culture as well as optimum utilization of natural resources for the development of surrounding villages. Social projects for water, food and education form the path through which it is traversing towards its future goals. In a clairvoyant vision, His Holiness Jagadguru Swami Sathyananda Saraswathy, while seated in Kerala, saw this pure and pious Tapobhoomi and described it to His seniormost disciple, His Holiness Swami Krishnananda Saraswati. Poojya Swami Krishnanandaji immediately started for Mumbai with a mere twenty three Rupees in his hand. After a dedicated and divinely guided search he finally found this Chosen Land. Seated at the banks of the Barvi river, having nothing but water to offer, Poojya Swamiji chanted the Lalitha Sahasranama with offerings of water and asked the Divine Mother for this land to be used in the service of humanity. With a bold advance of just one Rupee Poojya Swamiji booked this land from its owner with an assurance that the rest of the money would be paid within a year. Collecting money through various public activities and teaching Yoga, Poojya Swamiji managed to fulfill the vision of his Guruji through the wholehearted support of devotees. He dedicated this land at the lotus feet of His Holiness Jagadguru Swami Sathyananda Saraswathiji Maharaj. This feat was accomplished in 1981.